Lol. Which prices are these? 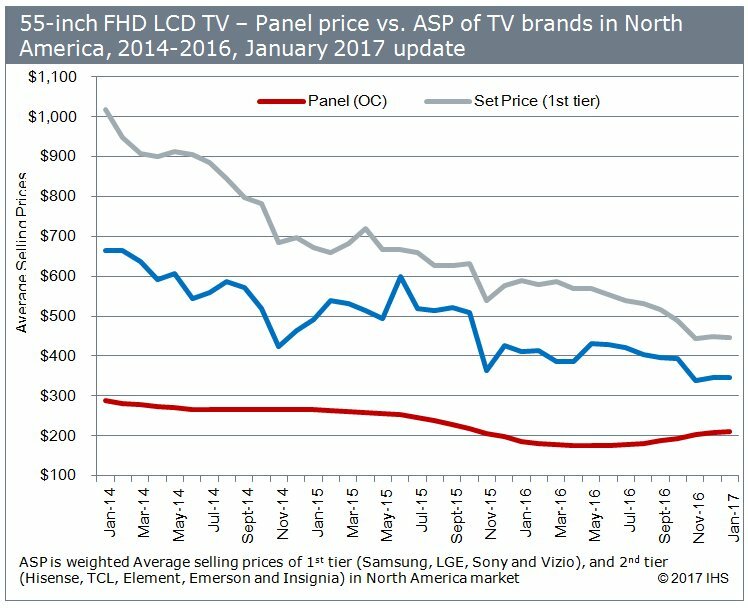 Prices on everything are up across the board mainly because of white hot consumer demand especially for electronics and designer clothing. Classic demand pull inflation. 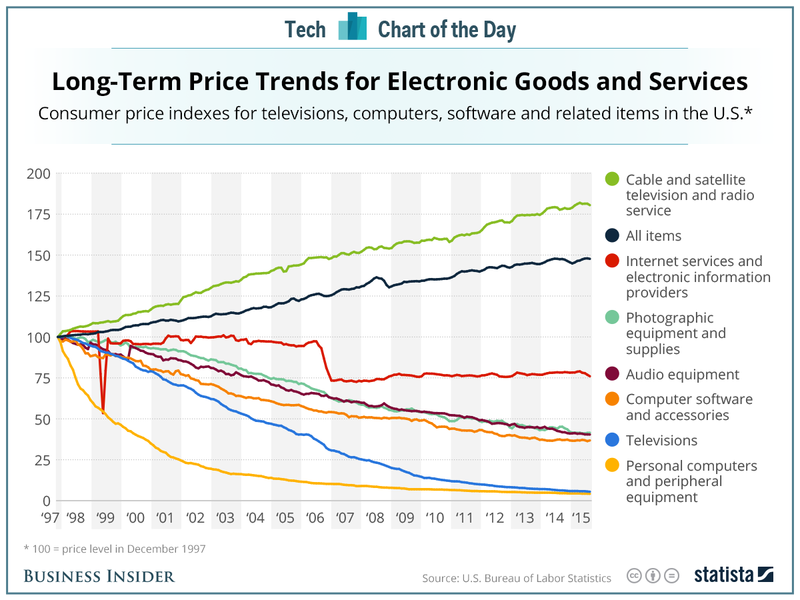 Most smartphones start at under $1000 and most people replace thier smartphone every 6 months to a year, same with TVs and computers now where the average price people are paying is up and the replacement times are down significantly. i guess you have not bought a car and paid almost nothing to finance it , got a mortgage or refinanced one . heating our home is far less than even 10 years ago . if you live in cities with some form of stabilization which many millions do , you likely have not had a rent increase in two years . for us health insurance dropped drastically as we went from private insurance to medicare . we have been retired for 3 years and have needed not 1 inflation raise in our budget , in nyc . This sure as hell sounds like something made up on the fly. Do you have anything to support this claim about smart phone replacement cycles? A cursory search shows multiple sources stating avg 22-24 months as of 2017 for consumers replacing cell phones. Inflation will not help the US and her debts because it buys treasuries. It doesn't/can't hedge. An inflating USD allows any future USD based loan repayment with 'cheaper' dollars. This is very true. One has to look at their own life and spending. And if you're rich it is almost a non-event. Another potential is the internet which can lower the cost of many items, either buying new, or opening the door to satisfactory used. We save thousands every year over local. Our electric bills have been lower with more efficient A/C,roof solar, now about paid off by their production. Our house is paid off. We bought a new car in 2015 @0% for 5 years. And gasoline is very much a bargain. That's only because of technology advancements that electronics are getting cheaper. It gets cheaper every year to produce the same electronic component last year (digital electronics). That's the only reason why it gets cheaper, if it wasn't getting cheaper, the technology of today would look a whole lot different. If the cost to produce was much higher, you won't see much decrease at all. The US has had several periods of monetary deflation coupled with a high rate of economic growth. In all cases, it was caused by rapid productivity growth coupled with a stable currency. Adoption of steam technology resulted in steady economic growth coupled with falling prices for 1815-1865. Deflation was interrupted by the Civil War, then resumed. From 1873-1879, prices fell 3% a year, coupled with 7% GNP growth. Mechanization of agriculture and assembly line factories continued the deflationary trend. When the Federal Reserve was created in 1913, prices were still lower than they had been in 1800. Over the subsequent century, the dollar lost 96% of its value. The massive boost in productivity from computerization should have resulted in rapidly rising wages and steadily falling prices. Thanks to inflationary public policy, that did not happen, to everyone's detriment except the bankers. With respect your implied thesis that productivity growth should cause general price deflation is absurd. Within high functioning modern economies productivity growth drives demand, demand drives inflation. The trick is to keep inflation in check. The gold standard is dead and gone and it's never coming back. Let it go. ETA - Your read of the 1800s US economy is interesting. You've picked a number of time spans and outcomes that fit your thinking but utterly omitted events, time spans and outcomes that don't. Things like short term price instability, depressions, recessions etc. Last edited by EDS_; 01-10-2018 at 11:01 AM.. He's probably paying a lot more real estate taxes, home insurance, HOA fees, etc. Our real estate taxes have tripled in the last 15 years. Insurance and HOA fees have more than doubled. Generally, these costs track the cost of replacement and maintenance for structures which have been trending up. I've compared costs for gas costs. It's been the same. Perhaps the costs are lower due to heavy expenditures on windows and new furnace. We have a new furnace but our heating costs are the same as before. My health insurance premiums have gone up dramatically. Under ACA, it immediately went up 40%. There is a fairly substantial increase in premiums for individual coverage in your 50's. Also, the coverages are getting worse due to the much higher deductibles. If they applied hedonic adjustment both ways, this would count as a cost increase. We're also paying for coverage we don't need or use. Under hedonic adjustment, the BLS would subtract that feature cost from the premium even though it had no utility to the consumer. So goes much of new medical technology, a major HC cost driver. all of which you wrote about is why the cpi is no ones personal cost of living benchmark . the 1500 mini economies that make it up all see different results on a personal level .